A one-stop shop for cars on the go! 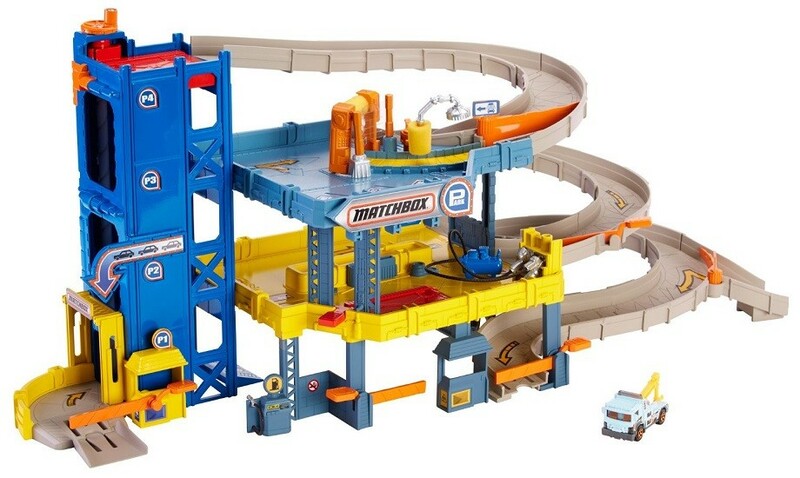 If your car needs a tune-up, the help of a good tow truck, or a premium car wash, the Matchbox 4-Level Garage is the place to be! 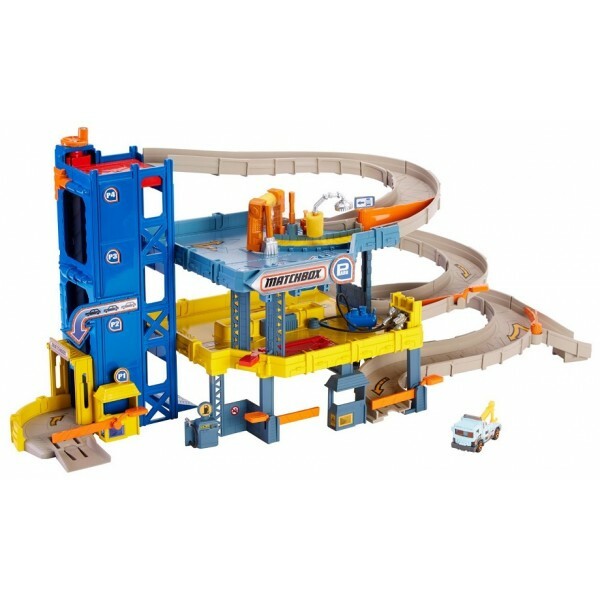 Send your Matchbox cars through four levels of activity, wind around the spiral ramp, stop to refuel at the gas pump, or ride the crane to the very top on the real working elevator. It's always a busy day at the coolest garage around! 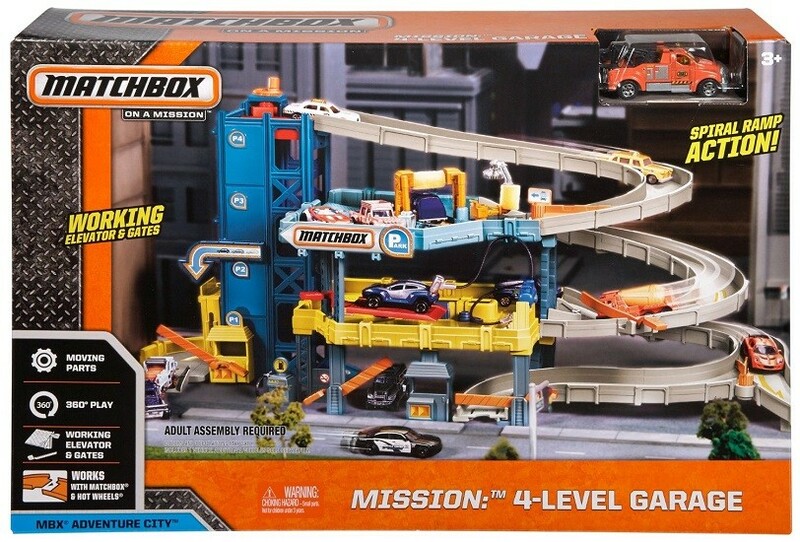 This set comes with one Matchbox tow truck; other vehicles sold separately. 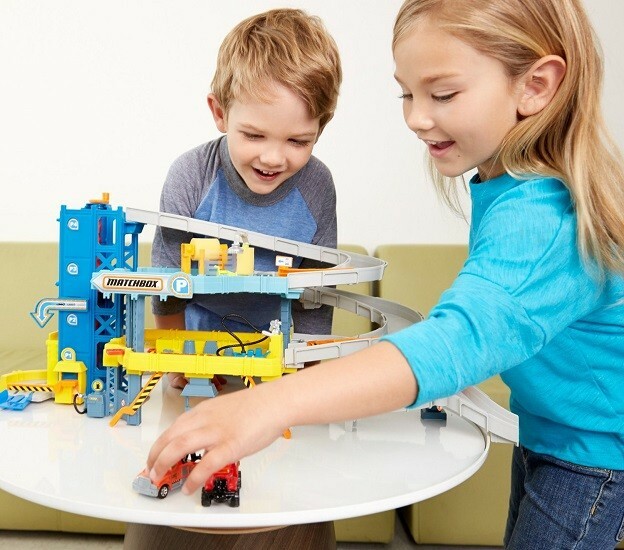 If you know a kid who's all about things that go, make sure you check out our full selection of Vehicle Toys.